Say hi to the newest member of the Boppy household! 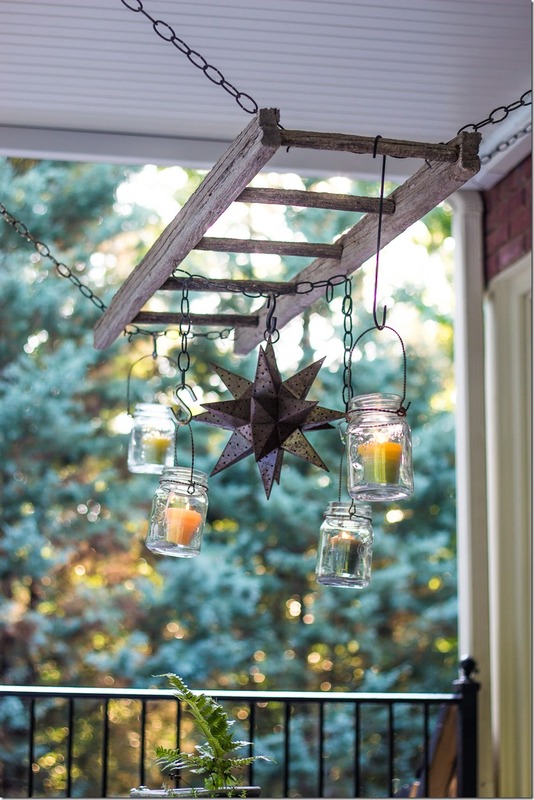 Did you happen to notice anything new in my patio Spring cleaning post on Tuesday? If you have been reading around here for long, you might have noticed that beautiful new rug under my back patio table! Isn’t it gorgeous!? It’s one of the newest rugs that Mohawk has just introduced in their Panorama collection. The entire collection made of happy, fun and colorful rugs that are perfect for any indoor or outdoor space. 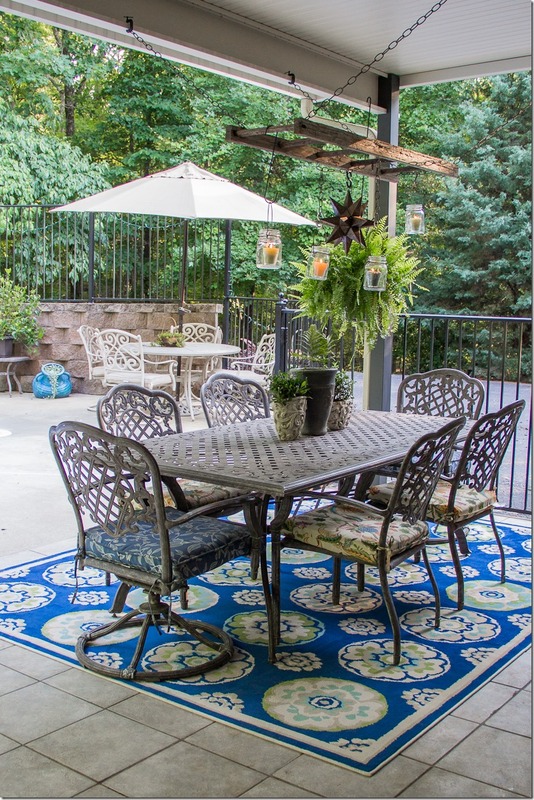 My good friends at Mohawk were kind enough to send me one of their beautiful new 8×10 Cloverleaf Wildaster indoor/ outdoor rugs to put on my back patio after I spotted it on the Mohawk Homescapes blog a few weeks ago. 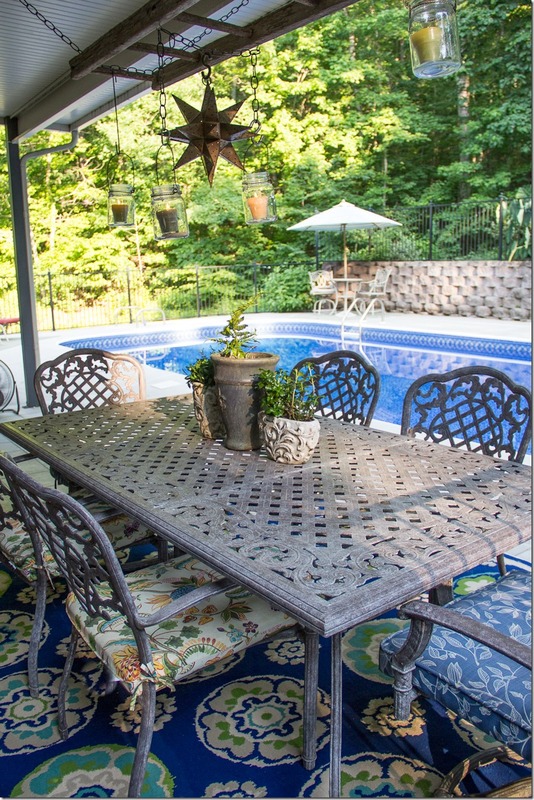 I instantly fell in love with the fun pattern, bright blue color and the fact that it was made for outdoors. I knew it would be perfect for our space under the patio table. 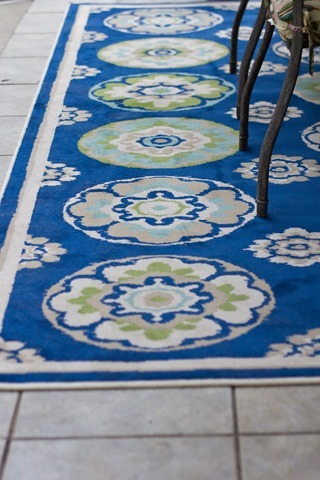 The vivid blue, watery aqua and lime green color scheme in this rug pulls in all the elements of my backyard. It matches the new pool liner perfectly, and all the bright blue flower pots that are lining the retaining wall. Even my existing patio chair cushions look great with it. It could not have matched any better. 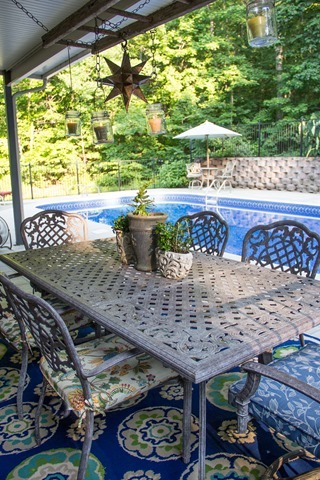 I love the way it coordinates with all the bright blue flower pots that I have around the pool deck. 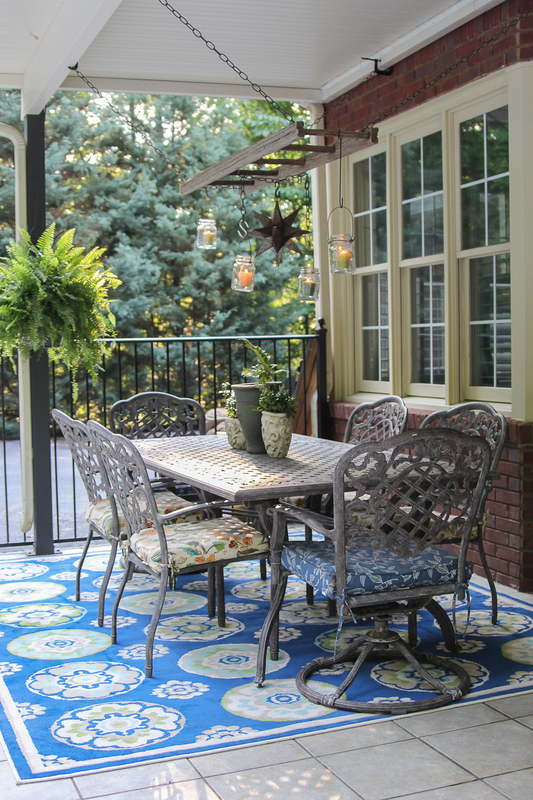 Even the old hanging ladder lighting fixture looks happier hanging above this rug! To be an outdoor rug, it is incredibly soft. Most rugs made for outdoor use are pretty scratchy, but not this one. Garrett keeps running across it barefoot and commenting on how soft it feels under his feet. The best part about it is that it is part of Mohawk’s new exclusive Panoramic collection, which means the rugs have 1000 hours of light fastness outdoors. That means the bright blue color won’t fade for a long, long time, even though it’s sitting outside all day, which is great news for me and my back patio. Now I just wonder if I can get the results of the dog-hair fastness test from those rug scientists. Gus and Woodrow have already taken up residence on this thing and may not leave it until they shed every last hair onto it this summer. I will keep you updated on how well it holds up over time under extreme conditions. Would you like a chance to own this rug and $1,000 toward an outdoor makeover? HECK YES YOU WOULD! To find out more, just click on this Pin it to Win it image! Be sure to head over to Mohawk’s facebook page where they are giving away one of the rugs from the Panorama collection to one lucky reader along with $1,000 toward an outdoor makeover! If you check out the collection you are sure to find a beautiful, fun rug that will brighten up your outdoor space. I am SO in love with all of these fresh new updated looks from Mohawk, and I know you’re gonna love them too! So run over and “LIKE” Mohawk’s facebook page, then follow the steps in their Pin It to Win It contest. 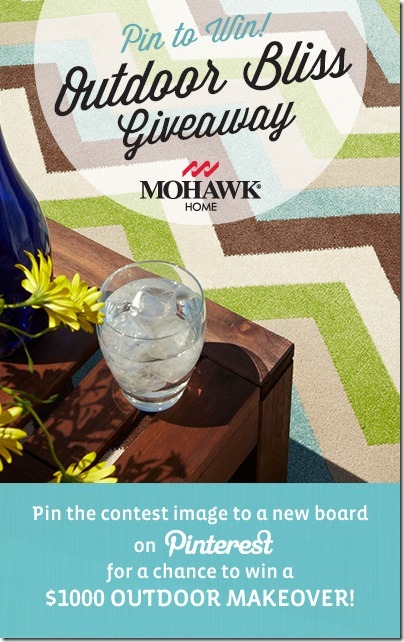 Simply follow Mohawk on Pinterest, then be sure to pin the contest image from the Mohawk facebook page and remember to include (the pre-populated hashtags) #OutdoorBliss #Mohawk and “I love this indoor/outdoor rug!” in all of your pins. Then head back to the facebook page and fill out the contest entry form to let them know which rug you would choose if you win. Mohawk provided me with a free 8×10 rug in exchange for this fun blog post, but as per usual, all opinions about products are my own. Official Contest Rules can be found here. « The Best (and cheapest) Father’s Day Gift Idea- Clean his grill! :fingers crossed for you Keri: Someone has to win it! What a great giveaway, huh? Dude. That rug is smashing, baby! I entered… finger and toes crossed!!! Thanks Jocie!! That ladder has given me many years of pleasure! I love the rug and the other products but until they allow Canadians to participate I will keep my likes to those pages that include us. Too bad……….. lots of Canadians to help promote but why bother if we can’t participate in contests and such? Tanya,. I totally understand frustration. Every time I host a giveaway I have to ask the sponsor if it will ship outside the US since I have so many Canadian (and other international) readers. Typically the answer is no, which is so not fair for you guys. I will forward your note to the folks at Mohawk and see if they might reconsider their stance on shipping to Canada. I understand…. so to make things easier for you please FedEx Gus and Woodrow to me. And their food too – they some big guys. HA!!! Your comments always give me a belly laugh! I’m not sure they make FedEx boxes big enough for those biguns. Might need to go UPS ground. And their food comes from Costco –4 bags at a pop! I LOVE your new rug. I did spy it in your post on Tuesday!! It’s beautiful!! I entered!! Thanks!! That rug is gorgeous. I love the pops of color, but it still has a really classic feel. Oh, how I’d like to win this. Love it Beth!!! It’s perfection! What a gorgeous space! 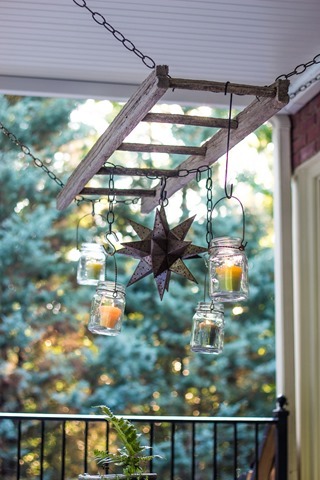 I love that ladder light fixture! And now I wish we had a pool! Thanks for sharing it with us. I entered (it was a bit confusing, so I *hope* I did it all correctly!) What a beautiful giveaway!! 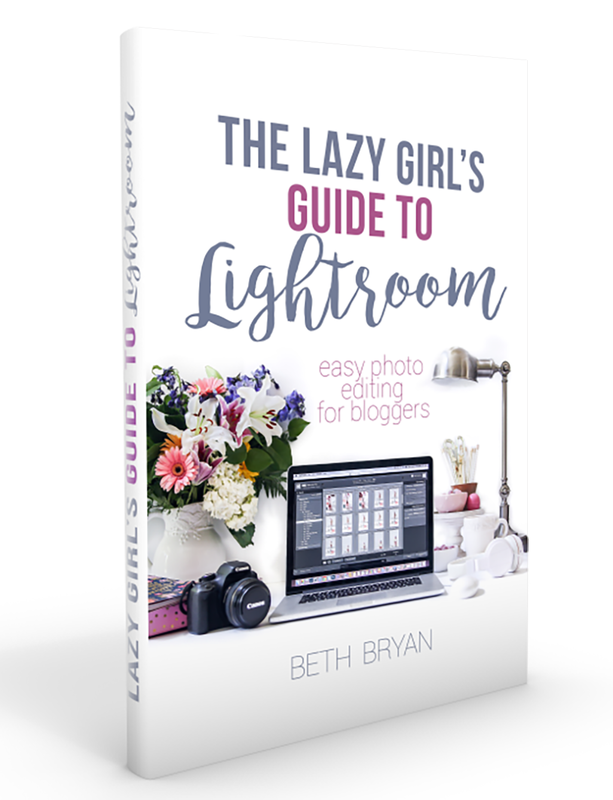 Beth, this is a great giveaway! 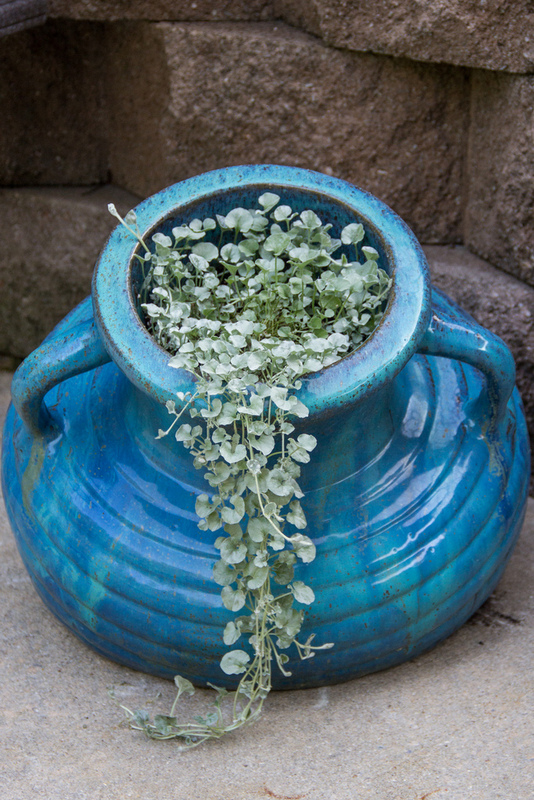 Love your rug and your blue pots on your patio! Gorgeous rug. Love the bold blues! OH!!! I hope I win! 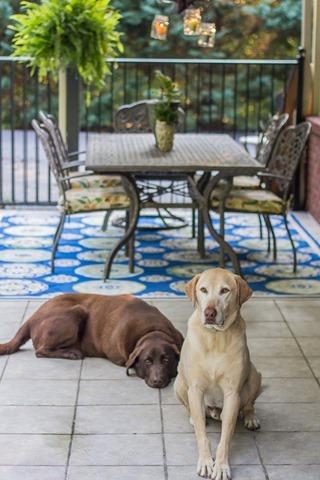 I would LOVE to have one of those rugs—and a redo! LOVE the rug you selected!! Gorgeous choice, Beth! I have a similar outdoor rug in my kitchen and it’s crazy how much color it brings into the room. LOVE that deep blue, too.